You are ready for the perfect weekend away with your special someone, so it’s time to take the first step. You’ll find your ticket to paradise in one of the Winnebago Minnie Micro travel trailers for sale at Moore’s RV. In this Winnebago Minnie Micro travel trailer review, we’ll show you what makes this the ideal fit for the couple who longs to get away. 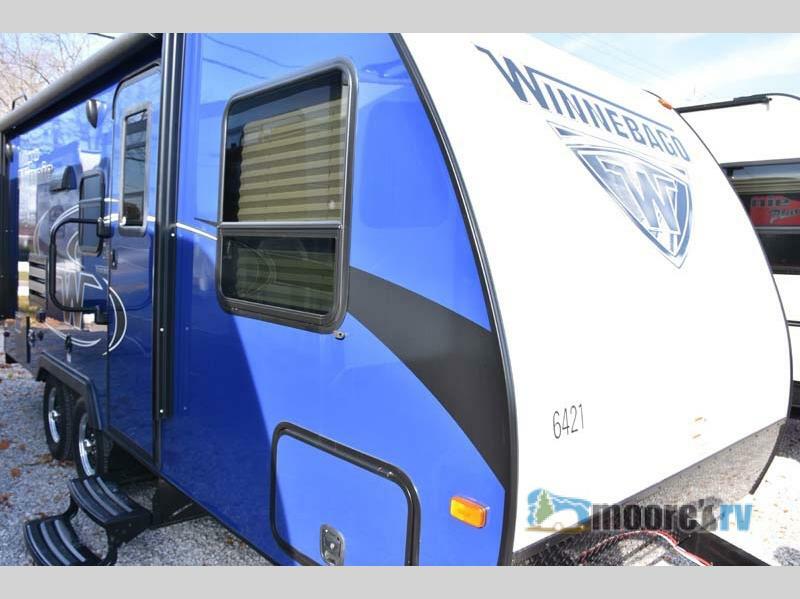 Find more Winnebago Micro Mini travel trailers for sale at Moore’s RV! Imagine leaving your worries behind and taking a trip to your favorite retreat, just you and your loved one. 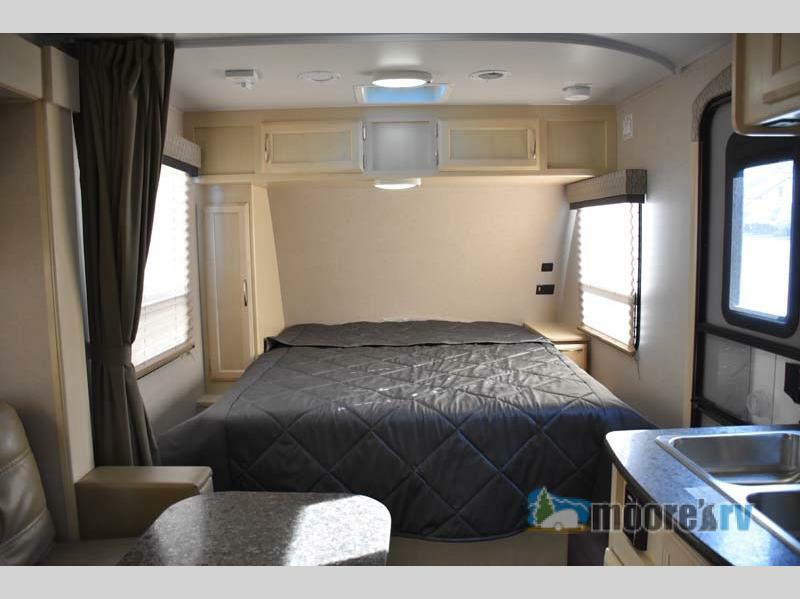 This gorgeous travel trailer is under 22′ in length with aluminum framing and Noble Class high gloss fiberglass sidewalls to make this Winnebago easy to tow. The queen bed is the perfect place to rest your head every night after you come in from enjoy the evening under the stars or sitting underneath the power awning, which comes equipped with LED lighting. Everything you need for a couple’s retreat! Wake up to a feast fit for kings with the gorgeous kitchenette that comes with a range, refrigerator, and large double sink. You can have breakfast in bed, or seated on the sofa next to the large window and soak in the morning sun. 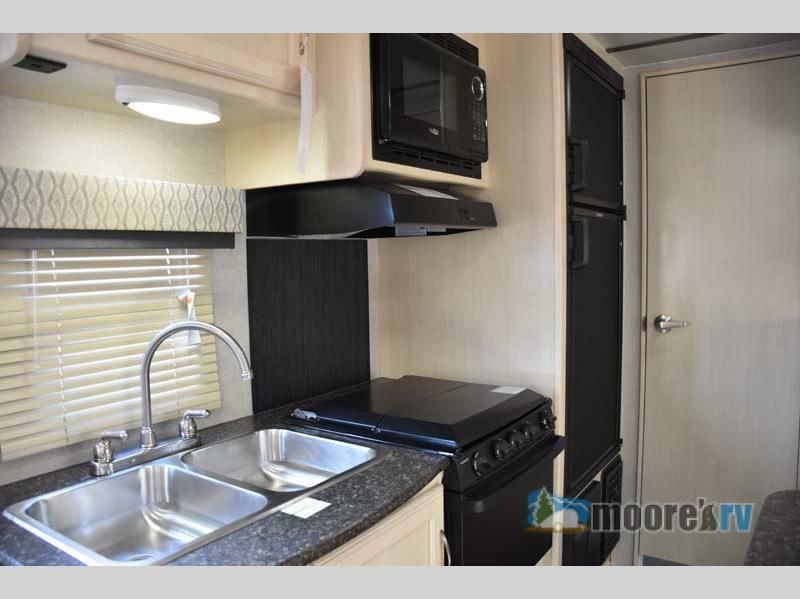 If you prefer to camp in colder weather, the 18,000 BTU furnace will help to keep you warm while you relax and watch your favorite show on the LED TV or enjoy a hot shower, since this travel trailer offers a full bathroom and water heater! Make your move! It’s time to indulge yourself to a perfect weekend away from home. At Moore’s RV we’ll make sure you leave with the perfect RV for you. If you’d like more information on the Winnebago Minnie Micro travel trailers we have available, contact us today!